Aria de Mozart, Bella mia fiamma, addio / Resta o cara, K 528. Dessin, pastel gras acrylique sur papier moulin du gué. 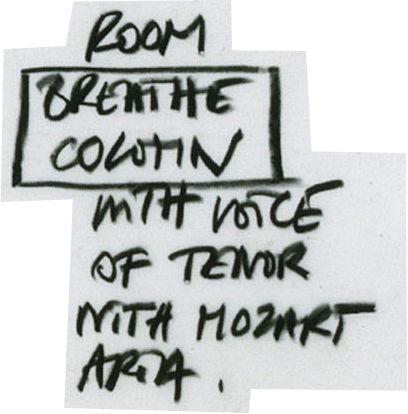 Room « Breath Column » with voice of tenor with Mozart’s aria. 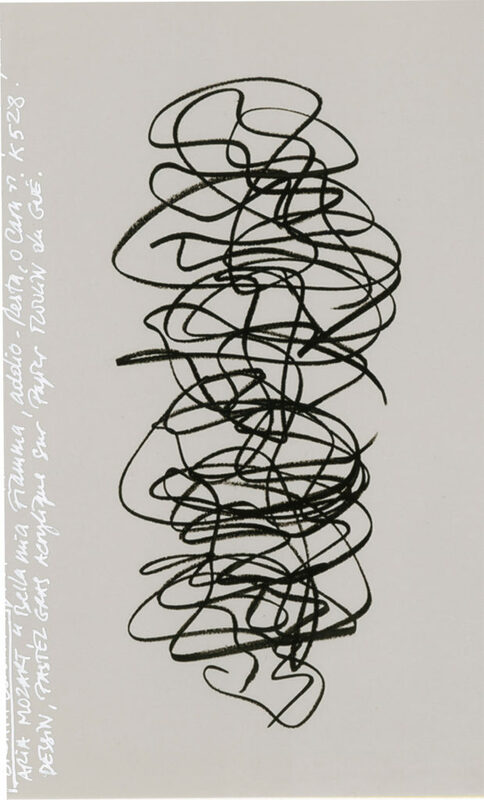 Room no 4 : « Voices vortex » with my Breath Column drawings.